I can’t believe we’re only just into November and I’m beginning to seriously think about Christmas. I blame the food mags as they are full of Christmas recipes. The morning started out on a trip to the Westfield Derby. I admit I’m sucker for cookshops and the new Lakeland has opened there so before you knew it I was in there, some how I managed to leave without buying anything. However I can see myself back there before the end of the year. The Food Hall in the centre has an interesting mix of food outlets. Last time I was there I ate at Pieminister and wasn’t particularly impressed so this time decided to try somewhere different. Hana Puri caught my eye, specialising in south-Asian cuisine with the food being cooked fresh on a charcoal grill. I had a a chicken tikka wrap (not feeling adventurous!) that was delicious with the perfect amount of chicken, salad, raita and chilli sauce. Their curries also looked delicious and I will certainly be returning. Just a shame most people were queuing at the KFC a few doors down and missing out on this great food. Next I was off to Chantry for their Christmas Open Day to quaff mulled wine, taste some great Bitter Sweet chocolates and order the Christmas turkey for my parents and a few other festive treats. I had a time scale to keep as I was also planning on making our Christmas pudding and HAD to be home by 3pm if I wanted to get to bed at some decent hour. I was cutting it fine especially when I realised we had run out of string and had to make a mad dash to the only shop around, a garden centre, to pick up twine. It was that or I would have had to use a shoe lace. 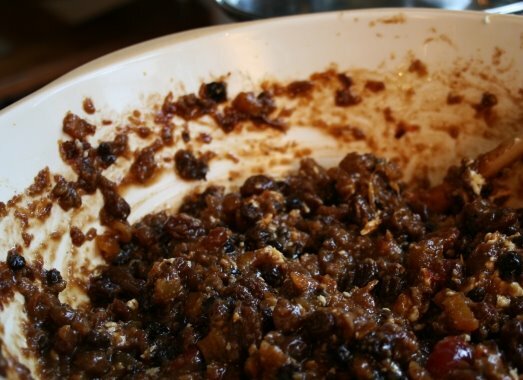 Traditionally I make the Christmas pudding on Stir-up Sunday but socially we are booking up fast and this weekend was really the last weekend I knew I would certainly have a 6 hour slot to steam the Christmas pudding. 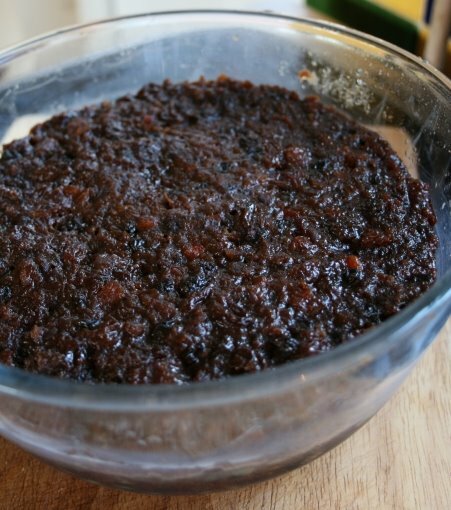 Plus everyone knows a great Christmas pudding is a pudding that has been matured for a while in a great deal of alcohol. Last year I made a Guinness Christmas Pudding and as it went down so well I thought why mess with something that is so good and made the same for this year, learning from the mistakes I made last year. This time I made it in the right size bowl, though this did mean I had to make a slight adaptation to the saucepan to get it to steam properly. I did think of putting a silver coin in the middle, but as the pudding is probably going to be microwaved when reheated on Christmas Day I didn’t think this would be such a good idea! It smelt so good as it steamed and turned a delicious dark brown. It’s now all wrapped up ready for Christmas Day. I just hope it tastes as good as last years pudding.